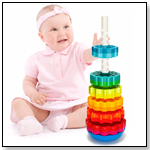 TDmonthly® - New Toys and Games: Sophie the Giraffe Bath Toy from CALISSON INC.
Other products from CALISSON INC.
Get ready for Vulli Sophie Giraffe Bath Toy! 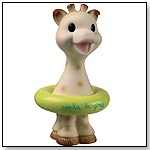 Here comes Sophie the Giraffe again, this time as a floating, squirting toy for baby to play with in the bath. She squirts water when squeezed.